Having a regular, busy day on crutches is almost impossible. Those days of rushing out the door holding a cup of coffee while on the phone? They're basically over for now. 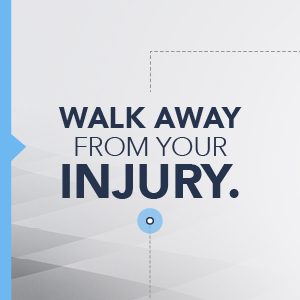 Unexpected or chronic leg, knee, foot, and/or ankle injuries have a way of forcing us to slow down. Sometimes slowing down and doing one thing at a time is refreshing, but when you're trying to balance school and a social life or work and kids, it gets frustrating fast. 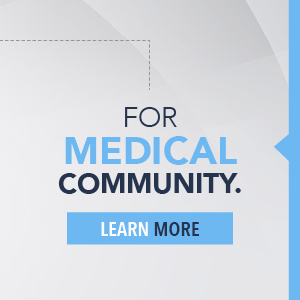 No Crutches has designed a new product so you can move around easily again, at work and at home. 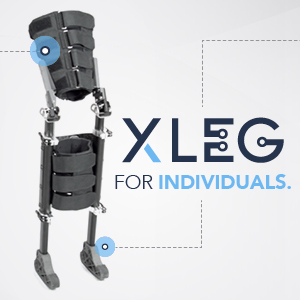 Our first product, the XLEG, is designed to help people required to be non-weight-bearing get back to their normal lives faster. With the XLEG you can use your hands again, drink your coffee, play with your kids. It's time for us to admit that crutches and crutch alternatives aren't doing what we need them to. It's time to move on to something better. 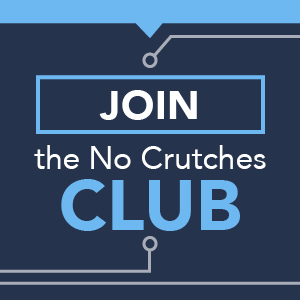 Follow the No Crutches Club and we'll update you on the development of the XLEG. It's free.